In less than two days you guys helped me raise $3,500 on Kickstarter, and this story, The Day the Angels Fell, will be published. I am still kind of in shock at how fast it all happened, the level of support you all have shown, and that this is actually going to take place. But here’s the deal – we still have 28 days in the Kickstarter campaign, and I’d love to keep this thing moving forward, get more books into more hands, and maybe do some really fun things along the way. 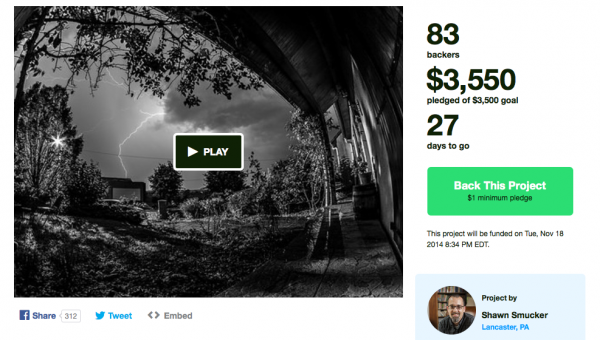 $4,500 – If we can hit this total for the project then I’ll add 8 – 12 illustrations in the book. I have someone in mind for this, but we haven’t talked about it yet so I’ll save that for later. But he’s super talented and kind of edgy and I think he’d put together some unforgettable images. $6,000 – If we can hit this total for the project then I’ll record an audio version of the book and everyone who contributed will be able to download it for free. $10,000 – If things go totally crazy and we can hit this level, then our family will go on a multi-city book tour, connecting with as many of you as possible and having a lot of fun telling more people about the book. Anyway, I’d love it if you could help me hit some of these stretch goals. The book is going to look amazing, so stay tuned for cover images and some other fun stuff. If you haven’t yet contributed and you’d like to get involved, you can check out the Kickstarter campaign HERE.